Animal Wildlife | Eastern Gorilla | The eastern gorilla is one of two gorilla sub-groups found roaming in the jungles on the African continent (the other being the western gorilla). The eastern gorilla is less common than the western gorilla and is also the largest primate in the world. The eastern gorilla is found inhabiting the tropical jungles and forests of parts of eastern and central Africa, along with lowland swamps and secondary forests. 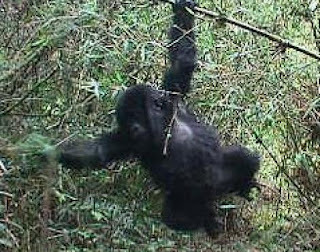 The eastern gorilla is found in the trees in throughout the countries of Rwanda, Uganda and eastern Congo. There are considered to be two separate sub-species of eastern gorilla which are the eastern lowland gorilla and the mountain gorilla. Although only slightly different in appearance, the two eastern gorilla species differ in their numbers with the mountain gorilla being rarer in the wild today than the eastern lowland gorilla. The eastern gorilla is one of the great apes, a group that includes orang-utans, gorillas, humans and chimpanzees. As with the other great apes, the eastern gorilla has a number of features which makes living in the jungle a bit easier, including having opposable thumbs which come in handy when the eastern gorilla is peeling fruit. The eastern gorilla is an omnivorous animal, but the majority of it's diet is made up of eating fruit which the eastern gorilla is known to travel vast distances through the forests to find. The eastern gorilla also eats leaves, nuts and berries, along with insects and occasionally small animals such as lizards and rodents. The eastern gorilla has also been observed using basic tools in the wild in order to more effectively gather food. Due to it's large size, the eastern gorilla has few real predators in it's native African forests, with large cats such as leopards and the odd crocodile being the only real natural threat to the eastern gorilla. 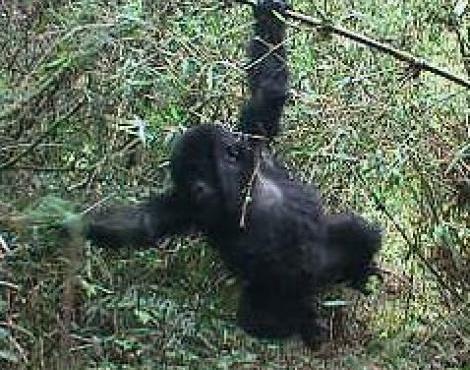 The biggest threat to the eastern gorilla is habitat loss caused by deforestation and also being hunted by humans. Parts of the eastern gorilla's territory has also been taken over by civil unrest in recent years, which, along with poaching, has had a truly devastating affect on wild populations. 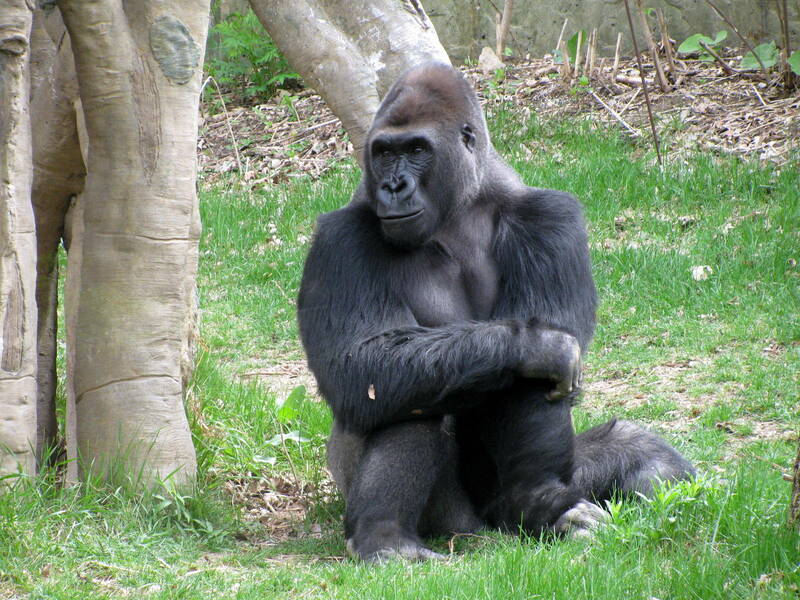 The eastern gorilla tends to live in groups which are led and protected by the alpha male. 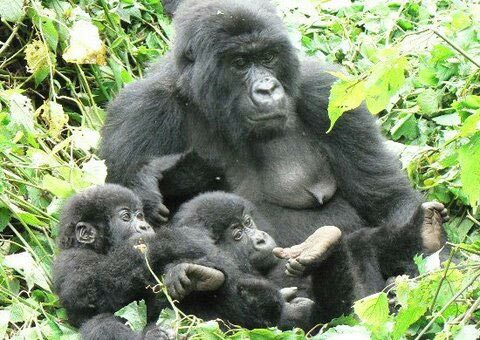 The alpha male eastern gorilla also mates with the females in his group, producing generally single offspring, known as babies. 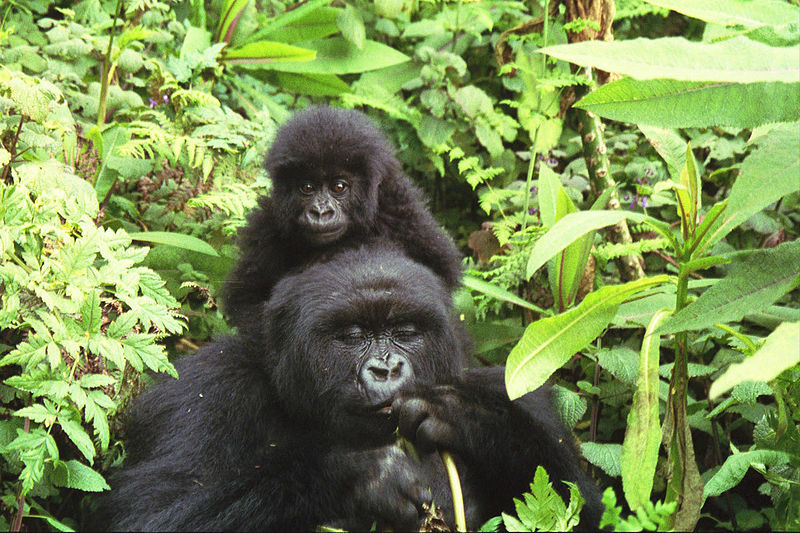 The eastern gorilla babies remain with their mother until they are a few years old and become independent. Today, all eastern gorillas are considered to be endangered species with populations having suffered due to habitat loss and illegal poaching. There are estimated to be around 5,000 eastern lowland gorillas, and an even fewer 700 mountain gorilla individuals left in the wild. 0 Response to "Eastern Gorilla"